Mayor Jane Williams-Warren’s administration’s move to sell $5.7 million in delinquent tax liens against the properties of St. Joseph’s Regional Medical Center caught council members by surprise on Tuesday night. Some demanded an explanation for placing the hospital properties on the delinquent tax list. Business administrator Nellie Pou said the properties on Main Street were placed in full taxation in 2016 following the tax court decision which stripped the Morristown Medical Center of its full tax-exempt status. Domenick Stampone, the city’s chief attorney, explained both the city and the hospital are sorting out the issue in New Jersey Tax Court. He said the hospital has filed a tax appeal challenging the city’s assessment of its properties. “If they are in litigation, why do we have them on this list?” asked council president Ruby Cotton. “There would be no liens had St. Joe’s paid those taxes,” responded finance chief Marge Cherone. Michael Jackson, 1st Ward councilman, raised a question about the appeal process. “You need to be current on taxes to file an appeal,” he said. “There’s an exception,” replied Stampone. Under state law there’s an exception for properties that hitherto had been exempt from taxes. Jackson asked whether the city has to refund lien buyers if the hospital wins in tax court. “Anyone buying a tax lien does so at their own risk. It’s an investment,” replied Stampone. Pou later said lien holders have to be given refunds if a portion of the property is defined as tax exempt. Municipal officials said the hospital has to pay taxes. It’s just matter of what portion of the hospital’s properties can remain tax exempt. Council members uncovered the St. Joseph’s Regional Medical Center properties when presented with a list of parcels delinquent on taxes. Council members were not made aware of the city’s tax dispute with the hospital. William McKoy, 3rd Ward councilman, criticized the administration for failing to attach an explanation to the lien sale resolution. He said the administration “mischaracterized” the hospital’s tax situation and presented it to the council as a “routine” tax lien sale resolution. McKoy said other host communities have struck agreements with their hospitals. “Other hospitals and cities have settled this dispute. If others have been able to negotiate and close it out, I don’t see why we cannot,” he said. McKoy thought the $5.7 million figure is “overstated.” He noted the Morristown decision does not place the hospital in full taxation. Morristown case: In that case, the hospital and the municipality reached an agreement. The hospital agreed to pay the town $15.5 million in taxes. 24-percent of the hospital’s properties were deemed taxable. Portions that were taxed included leased space to private doctors, restaurants, shops, hospital garages, and spaces used by private medical professionals to deliver emergency services, radiology, anesthesiology, pathology. “The city cannot say this is taxable, this is not,” said Pou. She said it’s the hospital’s job to prove which properties should be tax exempt. Stampone said the hospital has to argue which portion is profit generating and which is charitable. Both sides are intermingled in modern hospitals. Municipal officials said there are some buildings at the hospital that are paying taxes. 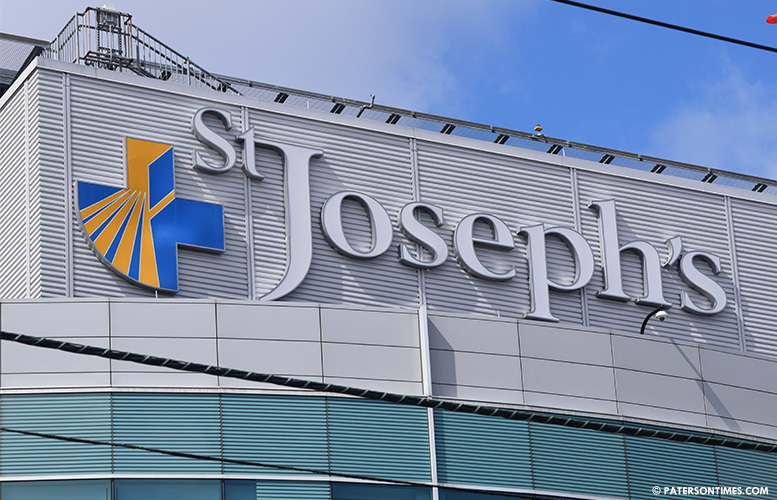 Pam Garretson, a spokeswoman for the St. Joseph’s Health, issued a statement on Wednesday afternoon, when reached for comments for this report. Stampone said there have been talks of a state legislative solution to resolve the hospital tax exempt issue. However, the previous governor vetoed the measure. The tax lien sale which requires the council’s approval is scheduled for next Thursday. Council members will take a vote on Tuesday. The city is seeking to sell $11.92 million worth of tax liens on delinquent properties. This does not mean the city will generate that sum in revenue. The list contains 344 properties.